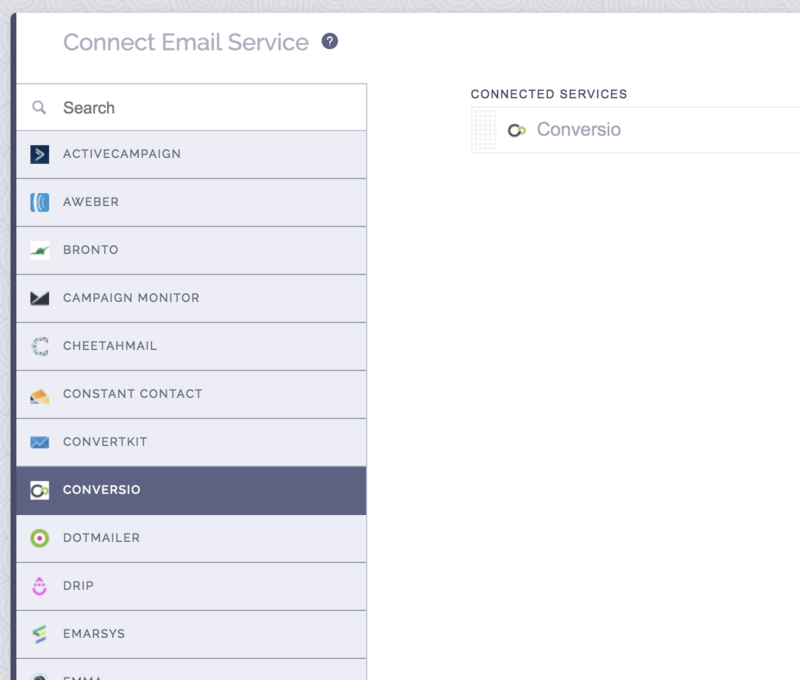 When setting up your promotion, go to the Connect Email Service section and click on Conversio. 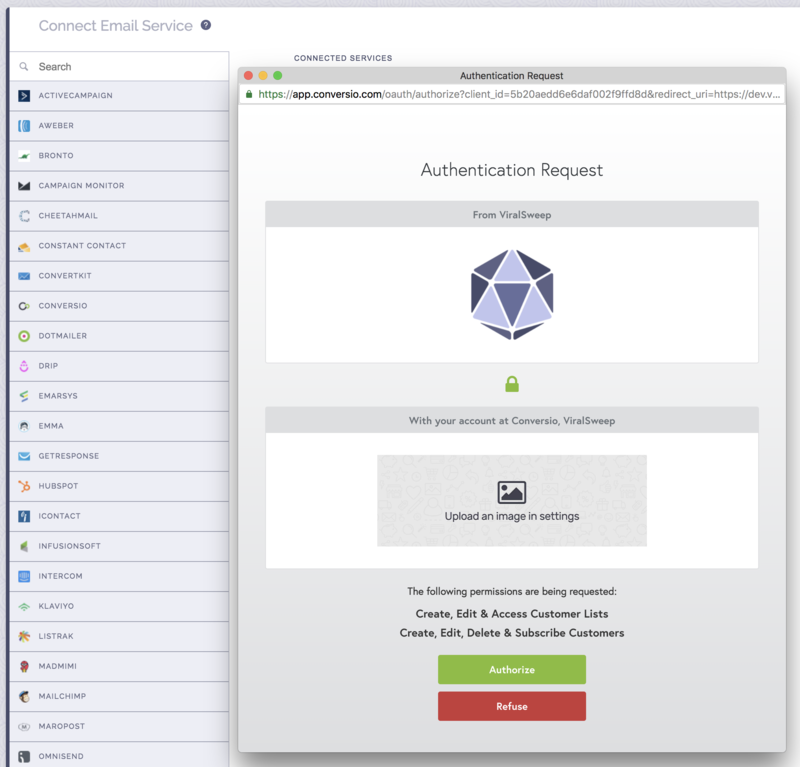 To connect to your Conversio account, you need to accept the permissions we are requesting. Simply click the green Authorize button to proceed. We will automatically display your Conversio lists -- simply choose one from the dropdown menu and click connect. That's it, you're all set. Your promotion is now connected to your Conversio list, and we will send all entry data into the list you selected. What fields can I pass into Conversio? The email address entered into the promotion may already be in your Conversio list, so it will not be added again. The email address entered into the promotion has already been entered into the promotion previously, so therefore it is not passed to Conversio. This can happen if you set up your Conversio integration after you have already entered the promotion. The user did not click the link in their double opt-in confirmation email that was sent to them. If they don't click that link, they won't be added to your form. You can disable double opt-in within your Conversio settings. Conversio is having a delay in reporting. Try checking again in a few hours. To remove the double opt-in email that Conversio sends out, simply click on your Conversio list, and then under Confirm List Subscription? select OFF. This means that anytime someone enters your promotion, they will automatically get added to your list in Conversio. 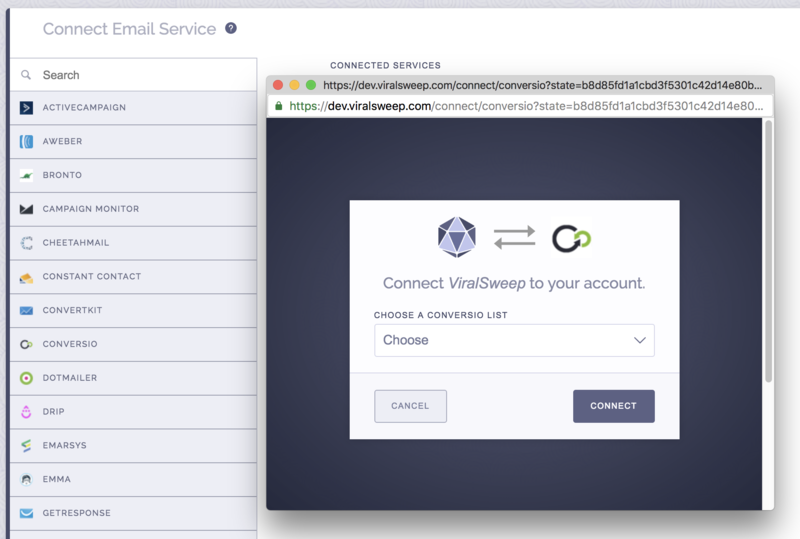 Still having trouble with connecting to Conversio? Simply click the support or live chat icon to get in touch with us.